I’ve always been fascinated by the By Terry line but it’s one of those brands I had never ventured into. I took my first baby step into the brand with the Baume de Rose which lives up to all the hype. During my last trip to Barneys New York in Beverly Hills last month, the product specialists showed me the Ombre Blackstar Color Fix Cream Shadows and the Brow Mascara (thoughts on this soon). I had about six different cream shadows swatched on my hand. I let the cream shadows sit on the back of my hands for about a minute. When I tried to remove, I found that none of them budged when I tried to wipe them off. The colors all applied very smoothly and blended easily upon first swipe before drying down to a budge-proof finish. I literally wanted to purchase one of each color limited myself to test one first. 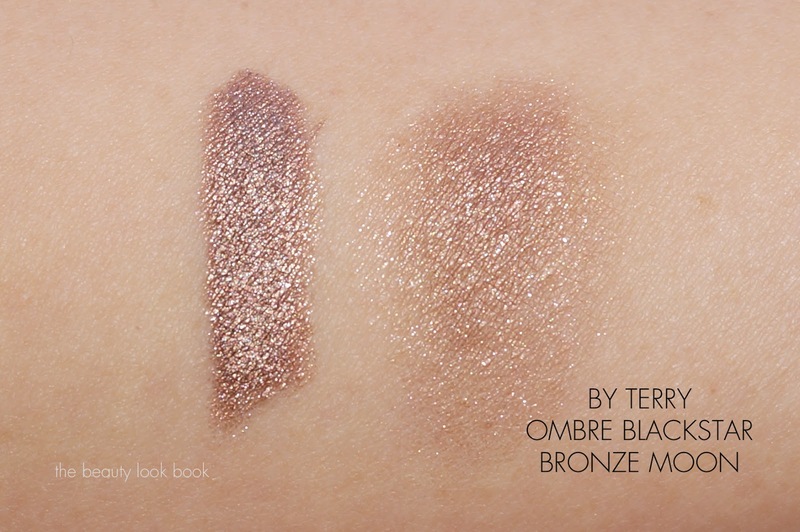 I picked a classic shimmering bronze: the Ombre Blackstar in Bronze Moon ($43 for 1.64 g/0.58 oz). The Ombre Blackstar shadows contain an ultra-smoothing Tahitian black pearl extract which makes most of them brighten the lids with reflective shimmer particles. Bronze Moon is a neutral shimmery bronze. The texture is creamy and pigment is easy to control but you need to blend quickly after application. Once it sets and dries, it really does have a “tattoo-hold.” It feels natural on the lids after it dries, you can’t feel any pull or layers of product like with some cream shadows. On me it lasted from 5 am past 8 pm without budging, fading or smudging. Do note that I have normal to slightly dry lids. I rarely have issues with cream shadows being too moist. Most primers I try tend to be a bit too dry in texture when they dry down causing the skin to almost shrink and stretch. By Terry Bronze Moon is a really nice color on the lids. It’s one of those colors that works perfectly all by itself. No other highlighter, base, crease or liner needed for me. Just the shadow and one coat of mascara. Comparisons to Chanel Illusion d’Ombre in Initiation (review here), Laura Mercier Caviar Stick in Cocoa, Urban Decay 24/7 Shadow Stick in Rehab, MUFE Aqua Shadow Stick 20E, Chanel Stylo Eyeshadow in Moon River and Bobbi Brown Cream Shadow in Bronze Sugar (swatched here). Out of all of these, the By Terry Bronze Moon has the best staying power. On the lids its the most neutral in color, not quite as bronzey or silvery. I’m really impressed with the staying powder, pigment and blendability of Bronze Moon. The lasting power is far better than most cream shadows I have tried before. The price is high though which has prevented me from wanting to look at them in the past. I will definitely be checking out the other colors my next trip to Barneys or SpaceNK, however it will be a while before I can bring myself to buy another one due to the high price tag. If you have any favorites from the By Terry line I’d love to hear about them! 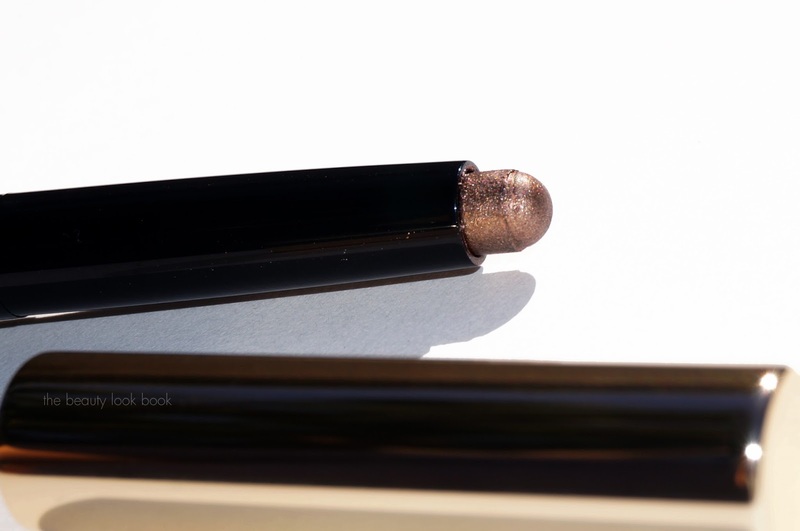 By Terry Ombre Blackstar in Bronze Moon ($43) is permanent and is available at Barneys, SpaceNK, Beauty.com and Bloomingdales.